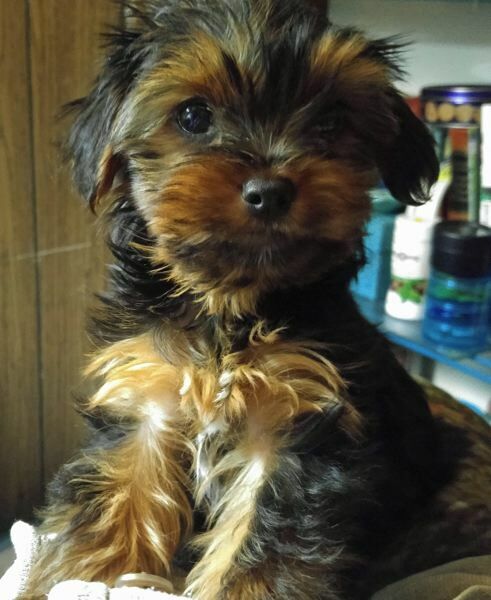 Jedi, a 5-month-old Yorkshire terrier, went missing Monday and hasn't been seen since. Someone stole a vehicle on Monday from St. Vincent Medical Center, along with a puppy inside the car. While the vehicle was recovered, the puppy remained missing. Until around 11 p.m. Friday, when the Washington County Sheriff's Office reported that Jedi, the brown-and-black, 5-month-old Yorkshire terrier, had been returned to his family. The story began Wednesday, April 4, when someone stole a teal 1992 Honda Civic the medical center at 9205 S.W. Barnes Road, Portland. Jedi was inside the car. Around 3 a.m. Wednesday, sheriff's deputy located the vehicle abandoned in the Cedar Hills Shopping Center parking lot. It was canvased for evidence and returned to the victim. Jedi was not located. Deputies have reviewed hospital security video footage and observed two suspects associated with a light-colored SUV. In the video, the SUV is seen stopping next to the Honda, one person gets out and enters the sedan, and then both vehicles drive away. On Friday, a resident of Clackamas recognized Jedi from media reports and alerted authorities.